Quantico is bordered by the U.S. military installation of Marine Corps Base Quantico on three sides and the Potomac River on the fourth. Quantico is located south of the mouth of Quantico Creek on the Potomac. The word Quantico is a derivation of the name of a Doeg village recorded by English colonists as Pamacocack. 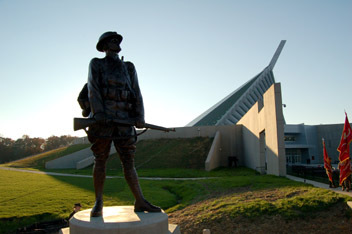 Quantico is the site of one of the largest U.S. Marine Corps bases, MCB Quantico. The base is the site of the Marine Corps Combat Development Command and HMX-1 (the presidential helicopter squadron), Officer Candidate School, and The Basic School.